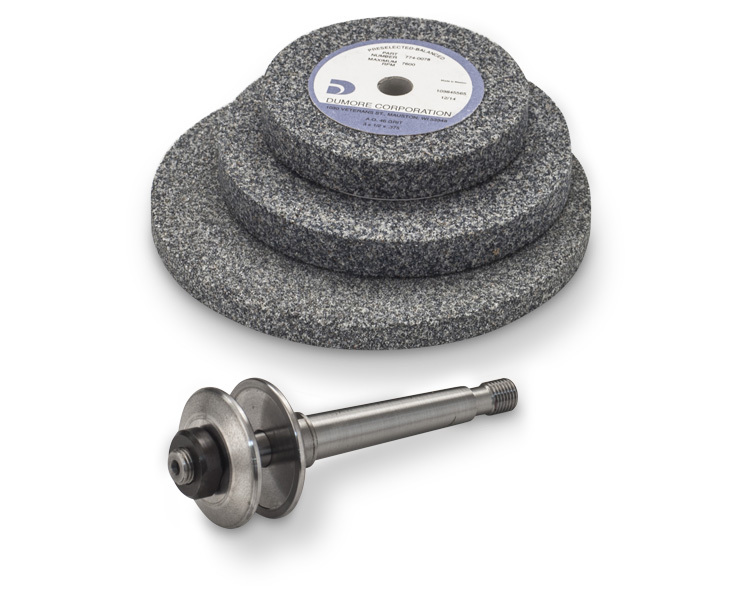 Grinding wheels for the Series 57 tool post grinder external spindle insert are made from aluminum oxide (A) or silicon carbide (S) as denoted by the "Wheel Material Code". The External Spindle Insert (423-0004) handles 3/8" bore diameter standard grinding wheels up to 5" wheel diameter, 1/2" wheel thickness. Its maximum recommended speed is 15,000 rpm.